The showbiz magazine Variety is set to reward teen sensation Justin Bieber with an award for his charity work. The 16-year-old will be honored at the ‘Power Of Youth’ ceremony later this month at the Philanthropy Awards in Los Angeles on October 24. This year’s event celebrates a select group of outstanding young entertainers chosen to receive the Variety’s Power of Youth Philanthropy Award, recognizing their efforts and contributions to philanthropic and charitable causes. 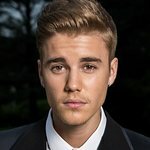 Along with Bieber, this year’s honorees include rapper/actor Bow Wow (Education Through Music — Los Angeles), “Wizards of Waverly Place” star David Henrie (LA's BEST), “Victorious’” Victoria Justice (Girl Up) and “The Secret Life of an American Teenager” star Shailene Woodley (All it Takes). 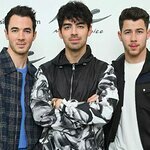 Past honorees included Jonas Brothers, Miley Cyrus, Kelly Clarkson, Hilary Duff and many, many more. For more info and a chance to win tickets, visit Variety: Power of Youth.